New Delhi: RSS ideologue Seshadri Chari on Saturday expressed fears that “too much publicity” to Robert Vadra, the brother-in-law of Congress President Rahul Gandhi, could help the Congress bounce back, like former Prime Minister Indira Gandhi did after the 1980 general election. “I hope too much publicity to Vadra does not end up like Indira Gandhi bouncing back after the Janata Party government. Conviction is not possible in a month`s time and by then, election schedule could begin,” Chari said in a tweet. The former editor of `Organiser`, the Rashtriya Swayamsevak Sangh (RSS) mouthpiece, stressed the need to project positive, affirmative, people-friendly projects initiated by Prime Minister Narendra Modi ahead of the 2019 Lok Sabha polls. 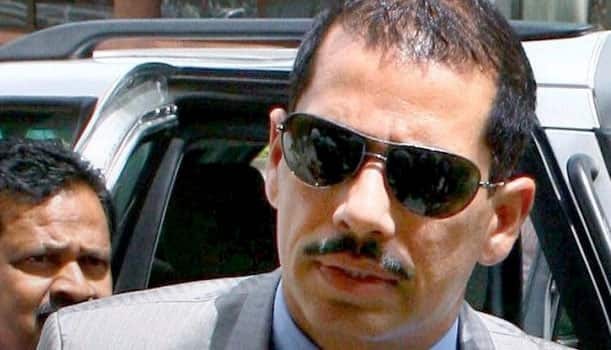 Seshadri Chari`s remarks came in the wake of Vadra appearing for the third consecutive day before the Enforcement Directorate (ED) for the third round of questioning in a money laundering case. Vadra`s wife Priyanka Gandhi Vadra, who recently entered active politics and was appointed Congress General Secretary, has accompanied Vadra to the ED office to drop and pick him in the past few days. Chari also suggested the BJP backroom boys scale up the corruption issue to at least the 2014 level if they want to achieve the target of “ab ki baar, teen sow paar” (`this time, above 300 seats` — the BJP slogan). “The general perception that Congress` first family greatly benefited from corruption will have a great impact in the coming months,” he said in an article which he shared on his official Twitter handle. In the 1977 general election held after the Emergency, Janata Party emerged victorious defeating the Congress, and Morarji Desai became the Prime Minister. He was later succeeded by Charan Singh. But in 1980 general elections, the Congress, led by Indira Gandhi, bounced back to power winning a handsome 353 of 529 seats.